Have you reached the point where no destination in the world, between the deepest ocean and the top of Mount Everest, tempts you anymore? Then perhaps it’s time to take a look into space. 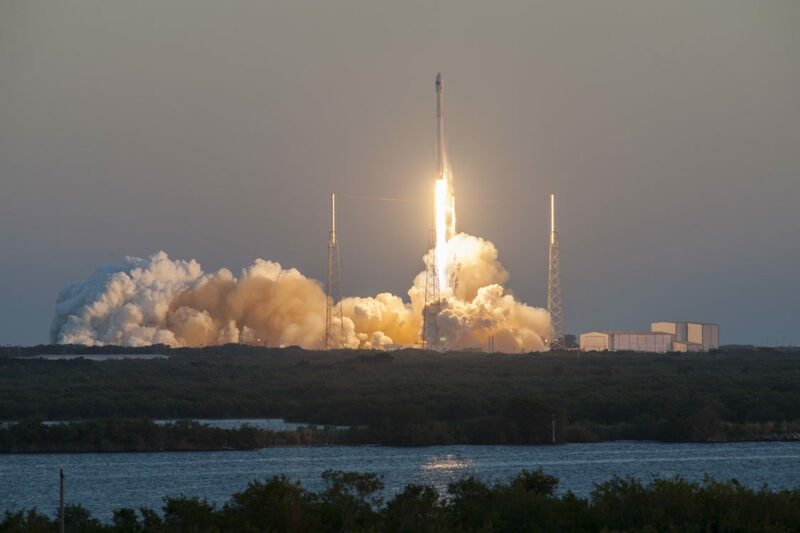 Until now, space travel has been almost exclusively the preserve of scientific exploration, but suddenly there are a number of projects under way aiming to make luxury space tourism a reality. Could any of them actually succeed? The next two years may tell. The history of space tourism is still relatively short. The first paying space traveler was Dennis Tito, an American engineer and entrepreneur who spent several months of intensive training in Russia and invested 20 million US dollars to join the crew on board a Russian Soyuz capsule bound for the International Space Station (ISS). He stayed out in space for almost eight days and was deeply moved by the experience. “To see the Earth from space for the first time is probably the most thrilling experience of my life,” he told TV presenter David Letterman a little later. American company Space Adventures, which supported Tito, has since taken several paying guests to the ISS in a Russian Soyuz capsule, and continues to offer this extremely rare opportunity to hitch a ride into space. The latest additions to its program are a spacewalk and a circumnavigation of the moon. Those with a little less spare cash can book an astronaut training session, take a parabolic flight to experience weightlessness, or witness a rocket launch from close up. The Russian systems aren’t actually designed for tourists, so as well as a lot of money, you also need thorough preparation and a good portion of luck to join a mission. Within a few years, however, private individuals who want to go into space will no longer have to travel to Central Asia and the Soyuz rocket launch site in Kazakhstan. New providers are gearing up for space tourism, and most of them launch from the southwest of the USA. All you’ll need for a trip into space is good health, 250,000 US dollars and a couple of days of preparation, though the actual trip only lasts a few hours. The new services due to come on line in the next few years come courtesy of the optimism and perseverance of people like Amazon founder Jeff Bezos and Tesla CEO Elon Musk. At the beginning of the 2000s they committed themselves to the conquest of space by tourists and set up the companies Blue Origin (Bezos) and Space Exploration Technologies (now SpaceX) to make the dream come true. 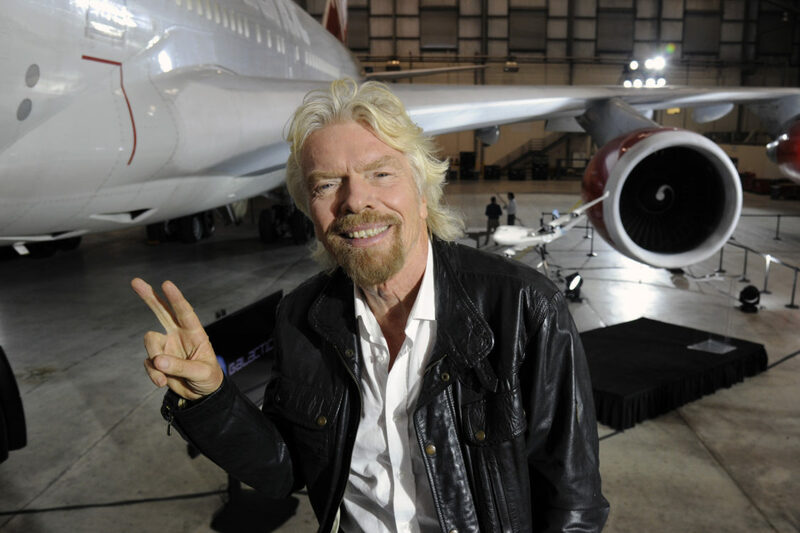 In 2004 they were joined by British entrepreneur Richard Branson and his Virgin Galactic operation. Other competitors however stopped their efforts: XCOR Aerospace brought a halt to its spaceplane program and its space tourism ambitions in May 2016. Swiss Space System recently filed bankruptcy. The market for private space travel was kick-started by a NASA funding initiative. 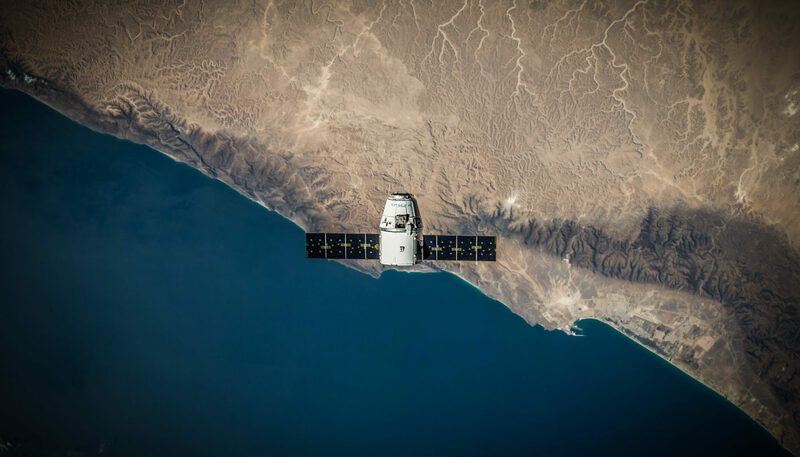 After the end of the Space Shuttle program, support was given to private companies working on new manned spaceflight systems. The aim was to have a US spaceship fly to the ISS again, rather than having to rely on Russian systems. In contrast to Tito’s spartan Soyuz capsule, the new space vehicles built for private flights will be much more comfortable; and reusability will be a standard feature. Those flying into space with Blue Origin and SpaceX will still get the thrill of a rocket launch: their capsules will be taken into space at the tip of a reusable launcher, while their return to Earth will be slowed by rockets and parachutes. These two systems will involve vertical landing by rocket, while Virgin Galactic’s system takes off and lands horizontally like an airplane. Virgin’s space liner is taken up to an altitude of approximately 15 km by a carrier aircraft, and then decoupled. It is then powered into orbit by rocket propulsion. 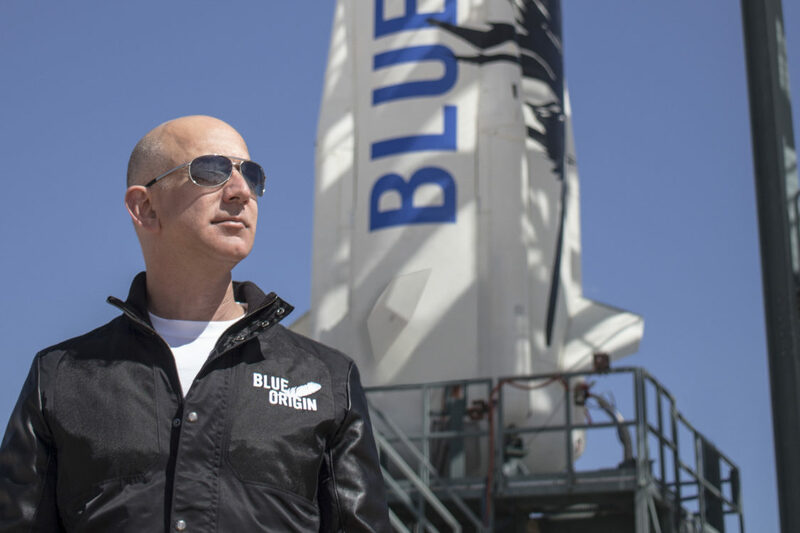 Blue Origin was established in the year 2000 by Amazon founder Jeff Bezos. 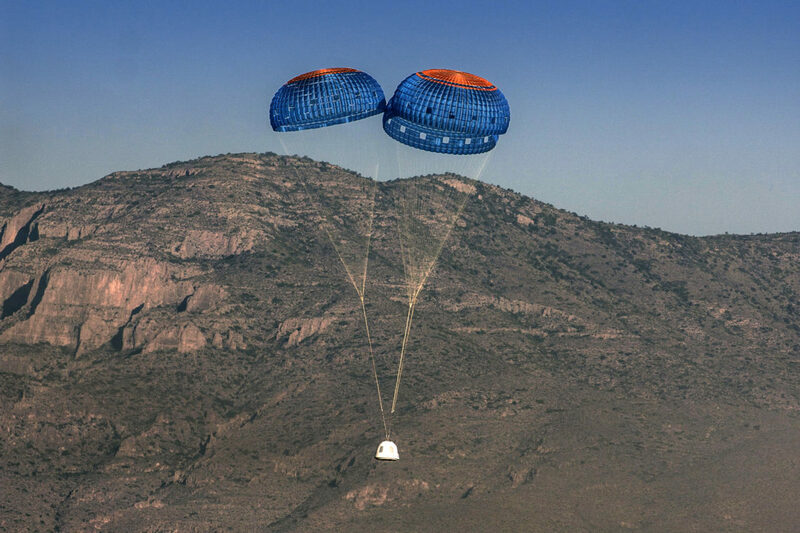 Its New Shepard system launches from a desert location in western Texas. It seems likely that it will carry out its first manned flight by 2018, but so far not much other information is reaching the outside world. What we do know is that there have been just over ten test flights involving the propulsion system and crew capsule, one of which failed. The rescue mechanism has been tested successfully. The Blue Origin system started reaching outer space – defined as everything beyond 100 kilometers above the surface of the Earth – in 2015. Does this mean that manned space flight will be starting soon? In its friendly but firm way, the company refuses to make any comment. Jeff Bezos’ New Shepard space vehicle seems very much designed for pleasure trips into space: it has extra-large windows to give tourists a panoramic view of the world and all that lies beyond. It’s like a mobile viewing platform in orbit. After four minutes of weightlessness, the capsule returns to Earth and, braked by rockets and parachutes, lands close to where it launched. Several sources suggest that Blue Origin will be able to complete its first manned space flight in 2017, and offer the first commercial trips in 2018. A larger system to succeed New Shepard is being planned and should be ready for initial tests in 2019. 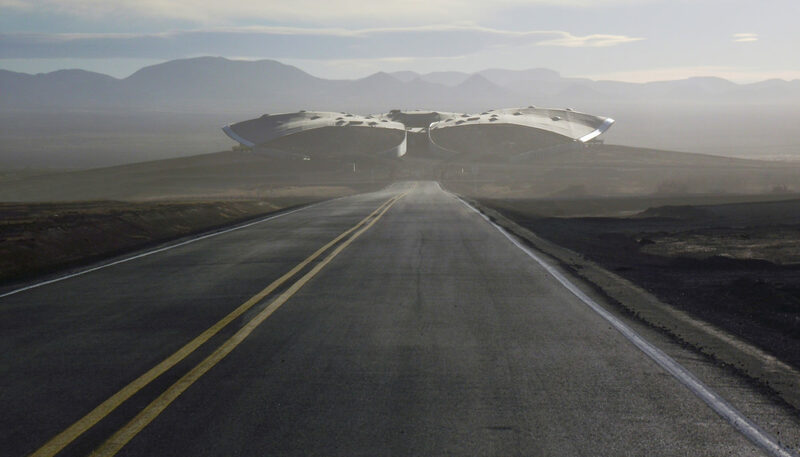 If you’re travelling through the middle of the desert in New Mexico, you may stumble across a huge, futuristic complex rising like a mussel shell out of the sand. This is Spaceport America. On one side it opens onto an airfield. 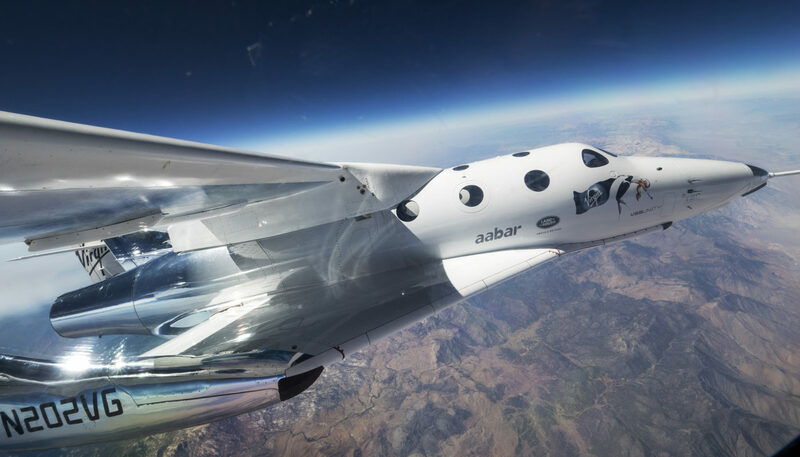 Designed by renowned architects Foster & Partners, the multifunctional building will in future be an integral component of the space trips run by Virgin Galactic. This is where space tourists will gather before the start of their three-day preparatory training. The same building contains the hangar for the VSS Unity space vehicle and its carrier aircraft WhiteKnightTwo. Because the system takes off horizontally like an airplane, it only needs a regular runway rather than a launch tower. This is where WhiteKnightTwo takes off with VSS Unity, bearing two pilots and six space travelers, latched to its under-wing carrying bay. After a few minutes’ ascent, the spacecraft is cut loose to fly at three times the speed of sound into near-Earth space 100 kilometers above the planet’s surface. For re-entry, VSS Unity temporarily folds away its wings to reduce the high thermal load as its flies back through the upper layers of the Earth’s atmosphere. As it reaches lower altitudes, the wings are returned to their original position. After three and a half hours’ flight, VSS Unity lands as smoothly as a conventional aircraft back at Spaceport America’s runway. VSS Unity has been undergoing test flights since summer 2016. It is Virgin Galactic’s second spacecraft. Its predecessor exploded in flight as a result of pilot error. The crew lost their lives and the whole project was put back for months. 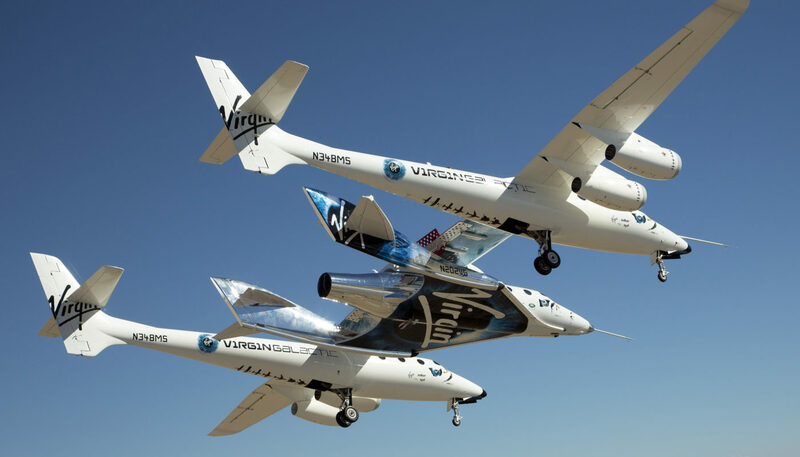 Despite the accident, media reports suggest that 800 people are interested in flying into space with Virgin Galactic, including Stephen Hawking, Brad Pitt, Tom Hanks, Lady Gaga, Justin Bieber, Leonardo DiCaprio and Katy Perry. The VMS Eve (Virgin Mother Ship) carrys VSS Unity (Virgin Spaceship) for its first flight ever over Mojave, CA on Thursday September 8, 2016. Spaceport America. 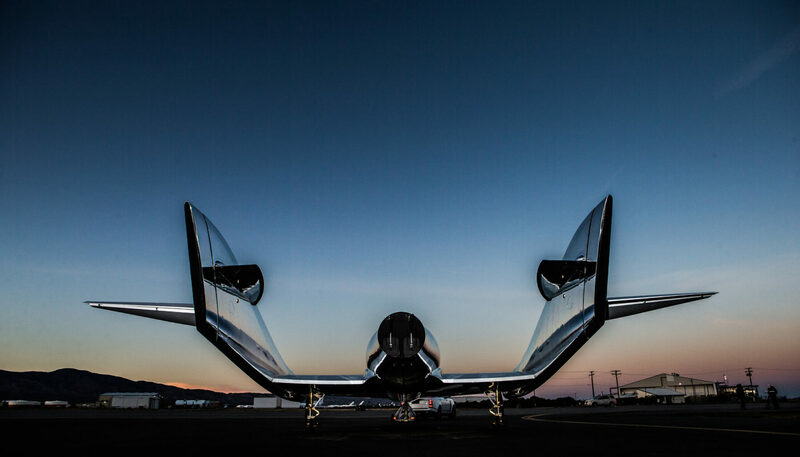 Photo: Virgin Galactic. You could never accuse Elon Musk of lacking vision. When he founded SpaceX in 2002, carrying out manned space flights as a private company seemed an extremely ambitious aim. To him, the idea was worth 100 million US dollars. The first flights could be made in 2017 or 2018. But for now it seems like he has little interest in the space tourism business. Space X is using its Dragon cargo spaceship to supply the ISS. The cargo ship is being further developed into the Dragon V2 capsule, which will have room for up to seven astronauts; but unlike the Virgin Galactic and Blue Origin concepts, there are no plans to make the trip particularly attractive to tourists: above all, no large windows to give the widest possible view of the stars and the Earth. SpaceX’s capsule could allow NASA to send astronauts from American soil to the ISS again for the first time since the end of the Space Shuttle program. But Elon Musk has already set new a new goal. In 2016 he declared that he was aiming for Mars. An unmanned mission is scheduled to launch in 2018, perhaps followed by a manned one in 2024. To this end, Musk is planning a huge reusable rocket system, big enough to take 450 tons of freight, or a 50 meter-long capsule for up to 100 astronauts. Depending on how the planets are aligned, the journey could take between 80 and 150 days. Anyone interested in coming along needs to have expertise in rocket fuel or some equally useful area. The plan is for the first flights to focus on setting up a production plant for rocket fuel on the red planet. Musk wants to start a regular service to Mars, and ultimately sees the planet acting as a staging post for longer trips into outer space. He has made the ambitious prediction that in 10 years anyone could travel to Earth’s neighbor for a fee of 500,000 US dollars. The SpaceX scenario concentrates exclusively on cargo transport to and from Mars. Whether Mars can be settled, and whether it could be turned into a tourist destination are issues he’s happy to leave to others. Experts believe that Musk’s plans are feasible in principle, but many of them question the financial viability and the timetable. German PR consultant Moritz Hunzinger is also working on plans to establish a settlement on Mars. He recently changed his fin-tech firm’s purpose accordingly and purchased a company called Mars One. The intention is apparently to buy in the necessary skills and expertise, and to fund the 6 billion dollar project like a reality TV show. Initially, there was a lot of interest in flying to Mars in the constant company of TV cameras, but according to media reports many of the applicants have since withdrawn, in part because Mars One is not planning a return trip to Earth. It’s unclear when the candidates for the program would depart. The launch date has been postponed from the start of 2022 to 2031, partly because of a lack of funding. Experts believe the costs will rise, and it’s questionable whether the recent flotation of part of Mars One will deliver the funds required. Engineers from MIT have also questioned many of the technical aspects. With its comprehensive media exploitation strategy, a critic could say that Mars One is trivializing a project that has brought mankind to the limits of what is possible. Because despite all the technology, risks will always remain. The desire to conquer space is driven primarily by scientific curiosity, courage and the pioneer spirit, which is why it can have such a profound effect on humanity. The great astrophysicist Stephen Hawking eloquently stated the case at the unveiling of the VSS Unity: “Space exploration has already been a great unifier – we seem able to cooperate between nations in space in a way we can only envy on Earth. We are entering a new space age and I hope this will help to create a new unity.” We must hope that future space tourists are pioneers in this noble quest rather than extras in a reality TV show.